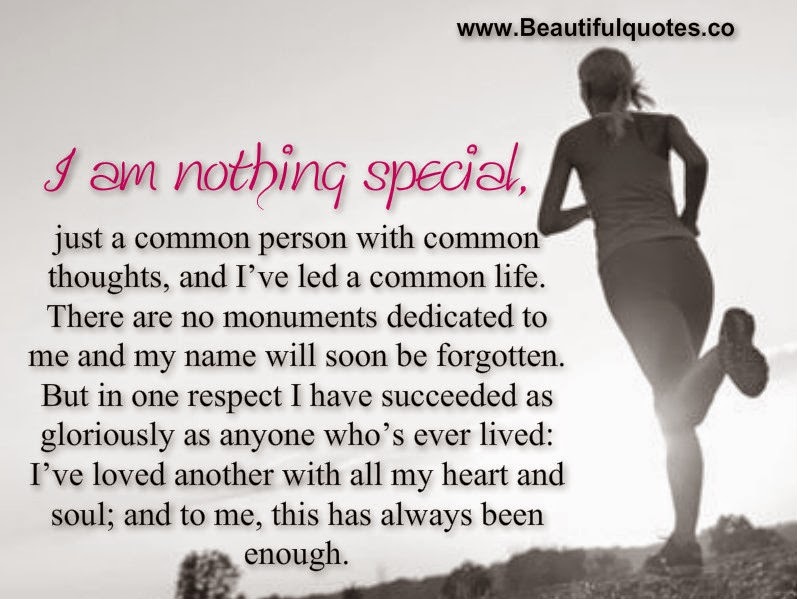 I am nothing special; just a common person with common thoughts, and I’ve led a common life. There are no monuments dedicated to me and my name will soon be forgotten. But in one respect I have succeeded as gloriously as anyone who’s ever lived: I’ve loved another with all my heart and soul; and to me, this has always been enough.